LeChé McGill is a Human Resource Business Consultant in Academic HR. 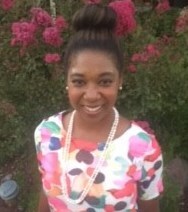 She serves as a liaison supporting UC ANR Academics for recruitment, compliance and APU practices and standards. She also provides research and analytical support for Affirmative Action, merit & promotions, salary analysis and support for actions pertaining to Division wide HR matters. LeChé began her career at the UCLA David Geffen School of Medicine in the Division of Nano Medicine in 2012 and has a professional background as an Operations and HR professional in the private industry of over 10 years. She holds a Bachelors degree in Sociology from California State University, Sacramento and a Masters degree in Public Administration from the University of San Francisco. LeChé has a passion for staff and became a member of the UC ANR Staff Assembly in 2017. She proudly serves as a first year delegate supporting staff initiatives and ANR leadership in an advisory capacity lending a collective voice on various topics, issues and areas of concern.